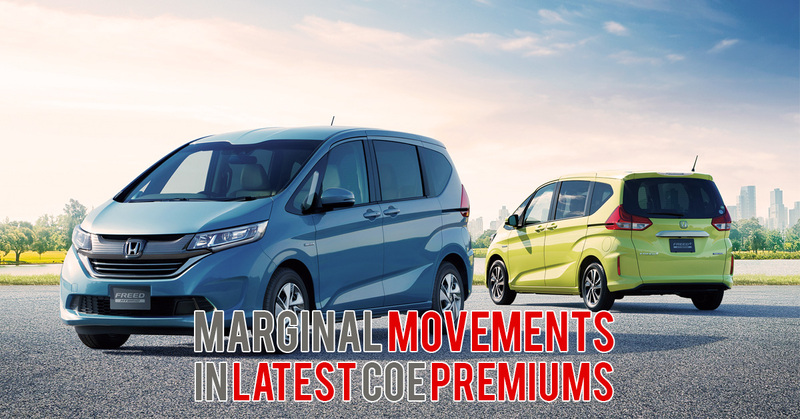 Marginal movements were seen in the Certificate of Entitlement (COE) premiums in the latest COE bidding exercise on 03 Oct 2018. COE price for CAT A (cars up to 1,600cc and 130bhp) increased slightly by 1.63% from $28,000 to $28,457. This is the third time CAT A COE premium ended below $30,000 since July. COE price for CAT B (cars above 1,600cc or 130bhp) fell by $6 from $31,307 to $31,301. The price for CAT C increased by 5.15%% from $27,104 to $28,501. Price for CAT E (open category) inched upwards by 1.725% from $32,000 to $32,552. Premiums have not rebounded much due to the steady supply of used cars by Uber-owned Lion City Rentals. This affected the demand for new cars as some of the car buyers have chosen to buy a used car which is one of the reasons why COE premiums for new cars have been hovering around the same amount. We foresee that it is unlikely for upcoming COE premiums to fall sharply unless there is a huge increase in COE quota in the next three months. If you are looking to get a new car at a good price, do act fast while the COE premiums is stable.